Another quick card share. 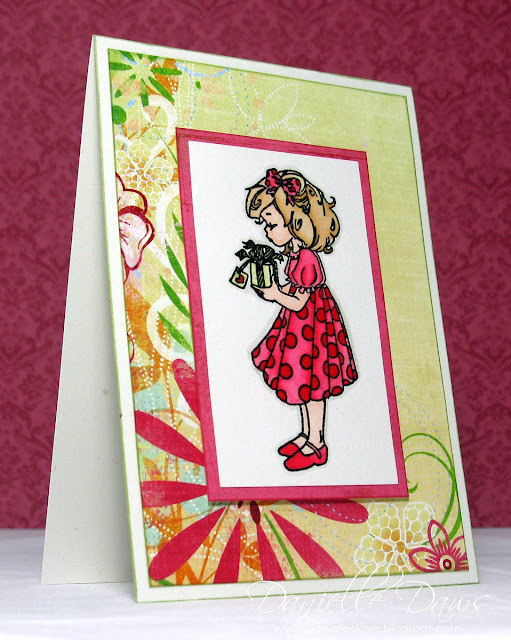 This one is for the challenge at Simon Says Stamp, which is to Go Dotty. I think her dress definitely fits into that category! Stay tuned... the next Just Add Ink challenge will be revealed at midnight! she looks beautiful! Love the colours and how you tied them into the DSP. This looks great! 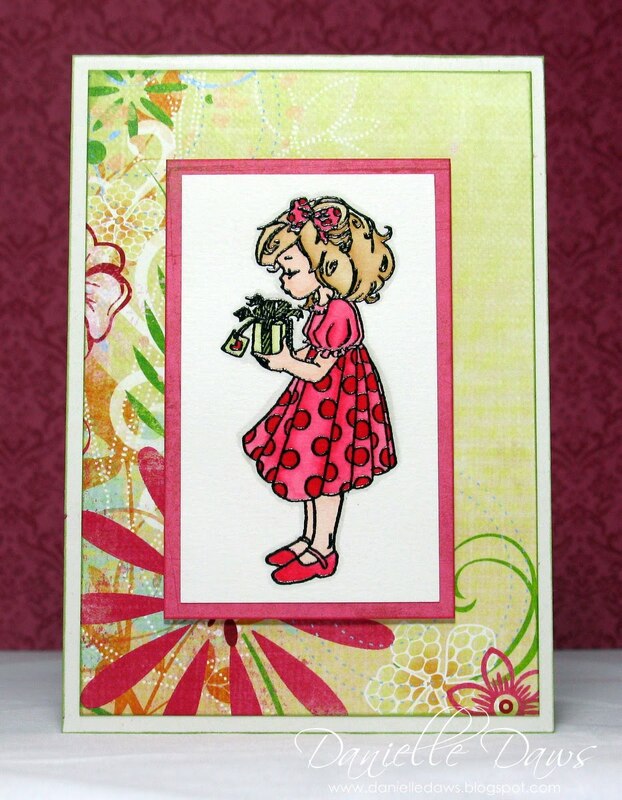 I love that background paper & the image is so sweet! I love your card Danielle. Her dress is perfect for the challenge. Love that you embossed the outline of the stamp. It gives it such a cool effect. Loving the papers you chose and the colors. Thanks so much for joining us on the Simon Says Stamp Challenge blog.